You're welcome! Hope you enjoy the game. Hi itchifam! We're raising money for Extra Life this year, and bringing Mondrian - Plastic Reality to Extra Life Game Day at the Cambridge Innovation Center on November 3. Our goal is to raise $500 by the end of the week, and 50% of all Mondrian game and merch sales will be going to Extra Life to support Boston Children's Hospital as well. As a developer of kids' games, this is a cause that is near and dear to our hearts. If you'd like to help us out, here are some links! If you can help it would be greatly appreciated! If not, we hope to see you at Game Day on the 3rd. Come check out the game, and play dozens more. It's going to be a lot of fun! Our latest game, built in Clickteam Fusion 2.5, is having trouble launching from the itch app. The setup file we're distributing is built with the in-engine Install Creator, which I guess isn't recognized by the itch app yet. Is there a way to make the itch app extract certain files contained in a ZIP to other directories, say, a subdirectory in AppData, or am I looking at changing my setup file into an InnoSetup executable? Yup. It's a tough crowd out there. Oh that too, but no that's not what they mean. What they mean is they'd pay exactly $0.00 for it and not a penny more. itch.io Community » General » General Discussion · Created a new topic PAX East? Any #YesAtPAXEast folk around? Showing a game off? Just walking the show floor? Going to cool parties? We're bringing Mondrian - Plastic Reality to the show floor on Saturday, but also the PREGAMER and Made in MA parties. Or are you a #NotAtPAXEast folk? We will take photos! D'oh, I wish I'd seen these "#NotAtGDC" posts. We weren't either, mainly because we're gearing up for PAX. Yup, been there. At a certain point, you gotta at least make back your investment on time. I can do that. I can even hand-feed you new levels while the stream's going on. Or maybe we can even get the chat room to do the same! Interested? I can zap you a key. Hey Phantom! Just a thought, but you may want to spice your pages up a bit. Some custom headers/banners and video go a long way toward making people interested in your project. Hey TigerJ! What kinds of games are you looking for? We've got an early access title with a great level editor if you're into games like Super Mario Maker. Hi all! Since some of you may be coming into Mondrian - Plastic Reality without ever having made a level for a game before, or if you're wanting to know what awaits in Mondrian Maker, we've started a series of tutorial videos! This first one goes through the basic interface of Mondrian Maker, as well as showing you how to build your first level. These will be coming out once a week, every Monday, for around the next month or so, and then we'll be uploading them as new features get added. You should be careful with this. The US Congress is currently investigating unregulated cryptocurrencies and slowly but surely pushing new ones toward being properly regulated under Title IV. So this means cryptos that aren't Regulation A+ will either have to take the new, legal route of becoming regulated and open up to all investors at low prices (instead of a select few, accredited investors at high prices) or risk getting shut down (yes, this includes Bitcoin, Ethereum, and many of the other popular ones, all of which were created before). That said, Quarters is an awesome idea, but I'd hate to see it get shut down because of incoming regulations. I'm up on the news, just not up on the tech, so I can't make any claims about any adjustments you might need to make, but just a heads-up. itch.io Community » itch.io » Questions, Ideas & Feedback · Posted in How do I monetize my game? For a web game I think you can set up tipping. It looks like you might have accidentally typed your email address into the Classification area. itch.io Community » Game Development » General Development · Posted in Is developing a game from scratch live on itch.io a good idea? Hi teamlazer! I would say yes, this is a good idea. 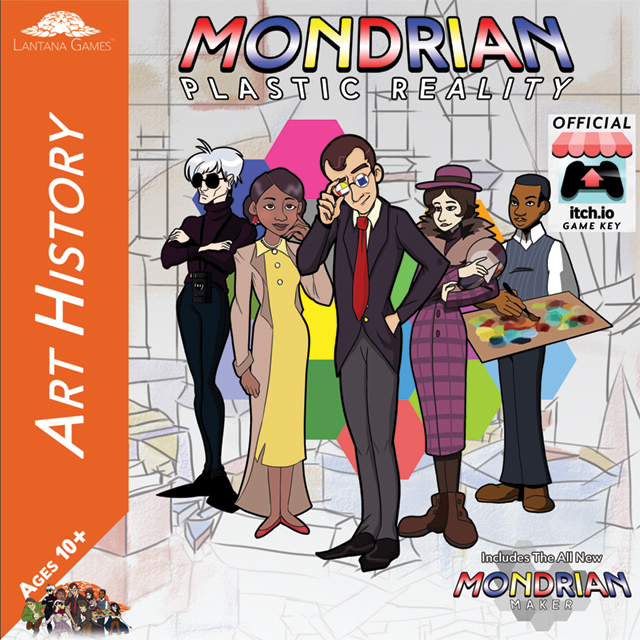 We're currently doing the same thing with our early access game, Mondrian - Plastic Reality. The reason we chose itch is specifically because it is much more welcoming toward early, experimental, and incomplete titles than Steam (even though yes, we also have one up there that we're still working on and will be updating at some point). itch also isn't the kind of place where you can expect to host "get rich quick" asset flips and find success, ala Digital Homicide. If you're nervous about reviews, you can set the game to Free or Suggested Donation instead of making it a truly premium project, and use the Discussion Board feature for tracking feedback and bug reports instead of trying to sort through a big list of comments at the bottom of the page. itch.io Community » General » General Discussion · Posted in Does It Bug Anyone Else When People Make Multiple Pages For One Game? I'd have to go with the simplicity. A lot of toolsets I've used feel very... backend-ish. Not that itch doesn't have this, but imagine if itch's butler tool was the only way to manage your games up here. That's what a lot of sites do. itch on the other hand is user-friendly for both developers and gamers! The latest additions to the page designer are also great, like being able to set the alpha level for the second background color, or choose any Google Font. A cart. Needing to purchase one game at a time may be too tedious for some gamers, especially come sales time, when they can just, say, go around Steam and click "Add to Cart" on a dozen different games before purchasing. Some new ways to support developers. Something like a microtransaction system comes to mind, where you can buy 100 points for $20 and spend them all around the site. I think gamers on the site would be a lot more willing to buy some games (or even comics and such) up here if they could get them from a lump sum. Plus there could be ways to earn points, such as rating games, being good community members, etc. But overall itch.io is easily my favorite site for posting games due to its simplicity, fun, and design-focus. Five playable characters, each with a very different feel thanks to varied Top Speed, Acceleration, and Braking stats. Mondrian Maker level editor! We've put a lot of focus into making this as user-friendly as possible and will keep adding new features and bug fixes to it during the early access phase. Please make and share levels and we will help promote them on our Twitch and Youtube! New Block Types, like Portals, and Modifiers, like Shifting, with more on the way soon! We've still got a ways to go, but we're aiming to release the game in full later this year. It is $14.99, however if you own the original Abstraction in Beauty, you'll get 30% off! If you are a streamer or content creator, you can request a key at our distribute(). Thanks all! Hope you enjoy the game. Looking forward to playing your levels! You can go as simple as setting up a Google Form for bug reporting and feedback, and even implement a link in your game's menu to this. This will then put the feedback into a convenient spreadsheet for you. Hey all! Just a quick reminder for the itch crew: make sure your backup plan is in place! This message from IGS is really telling about how much can go wrong how quickly. Yup, IGS changed hands and the new owners didn't know how to code. That's a huge red flag. It's good itch is still in its original hands. Still, it's a valued site for the community. Keep it safe please! itch.io Community » itch.io » Questions, Ideas & Feedback · Replied to leafo in How do followers get notified of a game being finished with development? Do followers also get notified of devlogs? I like the latter. I'd love to move our newsletter away from Mailchimp, just because Mailchimp gets blocked by 60% of emails now, and there's nothing we can do about that. One way to do this, as I just suggested in a new thread, would be to allow keys to access specific files, filetypes, or files with specific options (like "Access Hidden Files"). Then you could categorize your keys and only give access to certain parts of a project, ie file 1 for low-tier backers, file 2 for mid-tier backers, file 3 for gold-tier backers, etc. I'd love to see some options for what files keys are allowed to access. For instance, there's a "Hide this File" option, but imagine if some keys had a "Access Hidden Files" option. This would be an excellent way for beta testers to access content that, say, is locked out for regular customers. Or perhaps keys can be set to link up to specific files instead of the full project. Would be a convenient way to not have to make multiple projects when running any kind of test. itch.io Community » itch.io » Questions, Ideas & Feedback · Posted in Is there a way to have a Public pre-order file, but Restricted files for tester? You can create download keys for testers so they don't have to pay for the game. If you want to open up preorders that don't have access to those testing files, then yes you'll probably need to set up 2 projects. One feature I'd love to see is more in-depth control of keys, for instance, "Allow Access to Hidden Files." I'll make a separate post about this. Hi HAL, I wasn't able to reproduce this problem on my end. The discounted price came up fine in PayPal for me. This sounds like an issue better suited for itch's support team. It would need one layer of security beyond just putting in the AppID number, like if there's a Steamworks call to check that your login credentials match the AppID's administrator. Since it's already possible to link Steam accounts to your itch account, is there a way we can link Steam AppID's to our games on itch, so anyone who owns the game on Steam can get it on itch automatically? Steamworks no longer offers Third Party Key integration. Along the same lines, is there a way to import keys from other sites so users who purchased a game at another portal can redeem it on itch? IndieGameStand is looking like it might be dead, so any way to transfer ownership into itch would be a huge help. Dun giev up n00bface lol that is great! Just Corgis! No guidelines on use of third party assets but obviously don't infringe copyright. Corgis are the only specification. This is Mondrian - Plastic Reality. It is the second game in the Mondrian series, our art history inspired brickbreaker IP. It is built on top of Mondrian - Abstraction in Beauty and is bringing a massive amount of new content to that game while not damaging what made it awesome in the first place or letting it get too far off the rails. So is this a sequel or an expandalone? Don't ever say the word "expandalone" again. Ever. Let's just call it a sequel. What's with the character select? Sometime in 2018. Development is marching along VERY well, and we want to bring you a GREAT game, not an okay game that becomes great over time. Can I stream this game? No. We are focusing more on regular art history instead of videogame art history this time around. We are toying with some ideas to take the Emulators' place though. Stay tuned! What other new features are being added? Mondrian Maker! This powerful level editor lets you build your own levels for Mondrian and share them with your friends, manage your level collection, and test them out in-game. It is super easy to use and you'll have a level up and running in seconds. Check out our blog posts on Mondrian Maker here on itch to learn more. Other than that, there's a lot in the works. Stay tuned to find out what we add next! Post all bugs and weird behavior you find! Suggestions for fixing them are also appreciated. Would anyone be interested in partaking in a music bundle for Record Store Day on April 22? This idea just popped into my head and I think it could be a really really great one, especially for helping folks discover some of the music on itch. I'd be happy to start things off with the Mondrian OST but one soundtrack hardly makes a bundle. As of the latest version it started working again. Uninstall, redownload from the website, and reinstall. Any word on this? It's been almost a month and I still can't get anything to load past the login. Tried downloading a fresh install and everything. itch.io Community » General » General Discussion · Posted in Payment of Games! Follow the dev! Whether here or on social media, keep track of what that developer is up to and get hype to play their next game. In our case, our Twitter and Instagram are the go-to pages. Facebook and Youtube also. Our LinkedIn and AngelList pages are a bit more dry but EXTREMELY important when it comes to our future success and fundraising efforts. Leave a review! Whether on itch, Steam, GOG, IndieGameStand, or anywhere, let the world know what you think of a game. Let the world know it rocks. Heck, let 'em know if it's buggy. The more reviews a game has, the more customers who find it will know whether or not it's worth playing. If you like a game especially, PLEASE FOR THE LOVE OF GOD LEAVE A REVIEW! Truthfully boosting a game's aggregate score not only helps future customers feel confident about purchasing it, but offsets any troll reviews that may come in as well (and they do happen). Until reviews are weighted by helpfulness, every single one counts equally, and we need your voice to be heard in order for us to be successful.